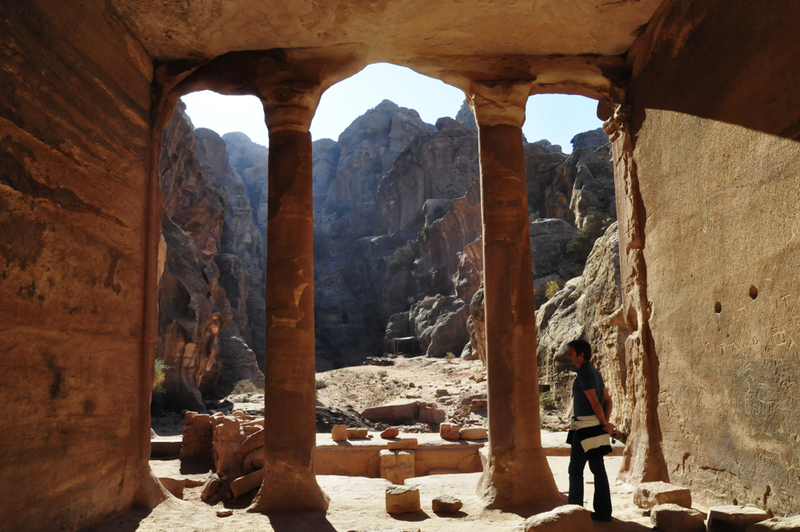 If you like petting animals, the ancient site of Petra is the place for you. It was only missing llamas. Camels, horses, donkeys, super-cute cats (and one bitchy one that scratched me), hey let’s throw some dogs in there – it was a really great historical petting zoo. So far in my travels, Jordan is second only to Greece for its population of cute, friendly, random animals (ie. cats) to pet. It also had some archaeological junk. It costs a small fortune to get in (USD $70 for a 1-day pass, but if you get a multiple-day pass the prices are much better) but it really is worth every cent. The site of Petra is absolutely huge and you pretty much get full run of it. For the most part, you’ll see no ropes or fences holding you back from going anywhere, like those who’ve visited historical sites in America or Europe would be familiar with. You can climb all over the place, go inside the ancient carved-out structures and no-one and nothing will stop you! After you’re assaulted by the adorable and playful kittens at the entrance gate, you’ll next be assaulted by the agitating guys trying to get you on a horse or donkey for the the walk through the Siq into the main site of Petra. I think the walk (or ride, if you’re lazy) was about 2 kilometers and when you get to the end you are immediately met with the Treasury (of Indiana Jones and the Last Crusade fame) bang in your face. Being an early-riser, we got to Petra around 7am, before almost anyone else, so had the pleasure of seeing the Treasury and a bunch of other stuff without the usual crowd mob (there were only 2 other people there at the time). On the way back out of Petra later that day, the Treasury and Siq, empty upon arrival, were mobbed with people. 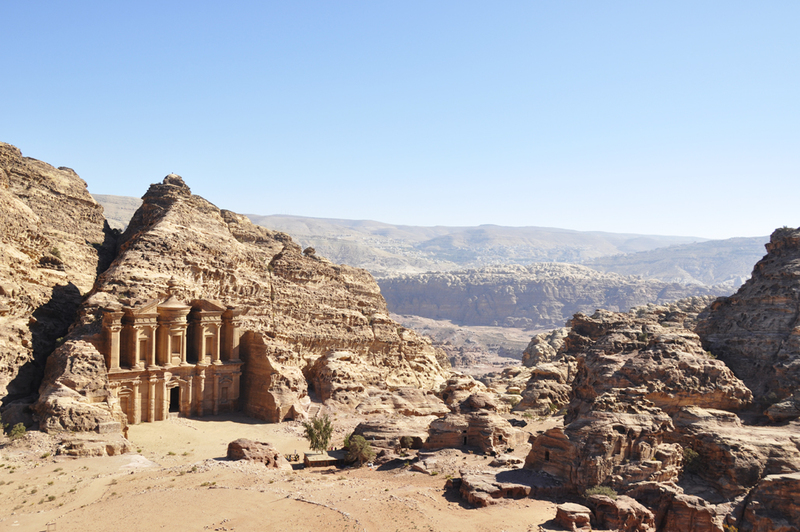 If there’s one tip I would give anyone visiting Petra, it would be to get there as early as possible (I later found out it actually opened at 6am and had we known that, probably we would have got there even earlier). Having a site this incredible to yourself, before the mob of guests and vendors arrive, is practically priceless. 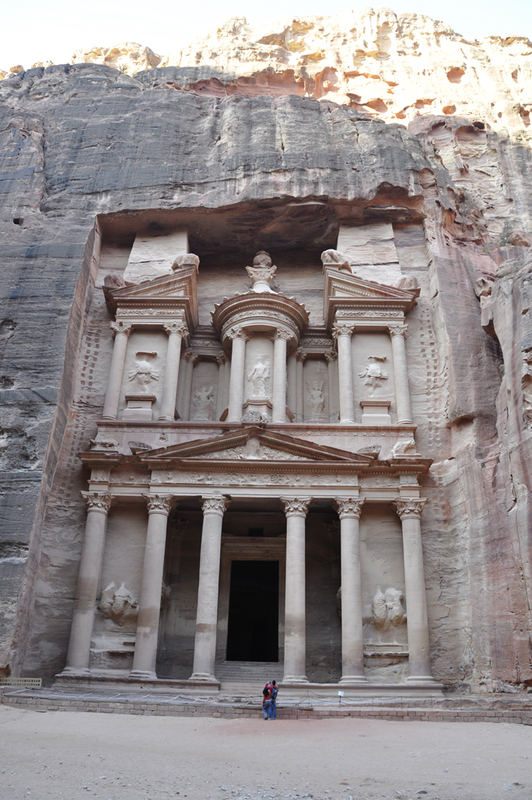 Simply, Petra was really incredible. So much to see, everywhere you looked there was yet more carved into the stone. I cannot really even begin to comprehend what this place must of have been like while it was occupied. The exploring options are really endless and now having been there, I can see how you can easily spend multiple days on the site. The Dead Sea & Karak. 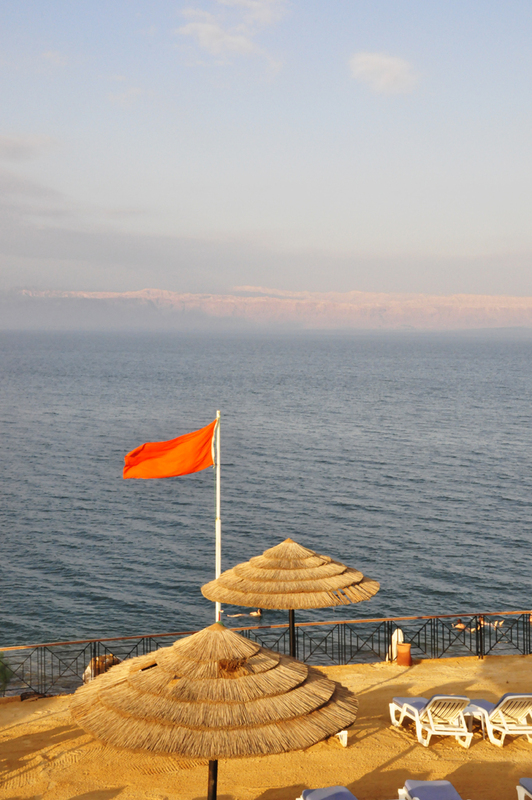 Prior and on the way down to making our way to Petra, we also stopped at the Dead Sea. Not that I actually got in. 1.) It was cold. I mean like, wearing a jacket and shoes with socks cold (& LOL I only brought 1 sweater, sandals and no socks because I’m one of those asshats who thinks everywhere in the Middle East is hot like the Gulf). I’m not getting wet in that weather. All that aside, it was a nice place to stop for the night. I may not have gotten in, but the Dead Sea looked lovely, especially at night when the lights of Jerusalem lit up the sky on the other side, and resort, the Mövenpick, was really very pleasant and had a bunch of fluffy cats strolling the grounds. On the drive down to Petra the map indicated there would be a few Crusader castles/fortresses to check out along the way. While unable to find them all, thankfully the castle in Karak was impossible to miss and well-worth the stop to explore it. 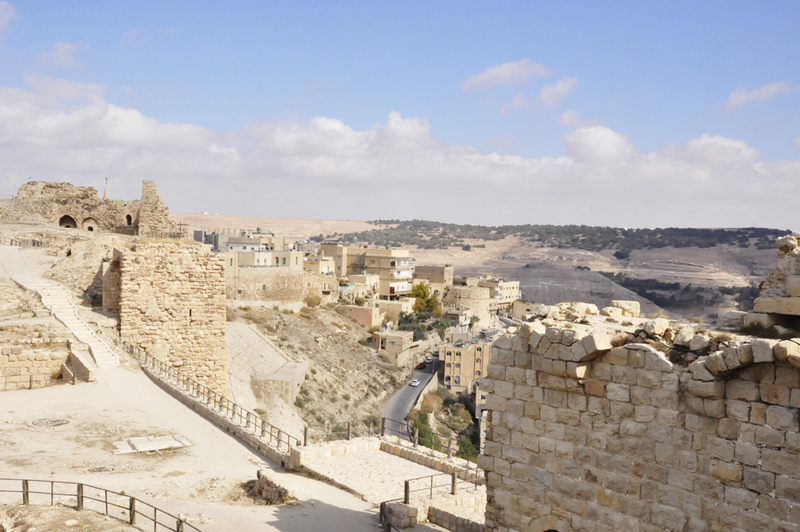 Perched on a hill atop the town and much like Petra, it was still in impressive condition and you were able to explore pretty much every nook and cranny within the castle as again, there were no fences, ropes or signs to stop you from doing so. This town also boasted a delicious lunch. And anywhere with delicious Levantine food is good in my book. If I recall my movies correctly, this looks like the place they shot part of Indiana Jones and the Last Crusade where the Holy Grail was supposed to be.